Amazing Science! 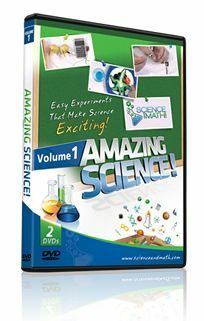 Volume 1 DVD is a quality DVD filled with hands-on science experiments from ScienceandMath.com. This DVD is geared towards students in grades 1-3 and costs $17.95. When you order Amazing Science! Volume 1 DVD you will receive 2 Discs in one case. You will be able to view 23 different amazing experiments at your own leisure. Each experiment is a separate chapter on the DVD and is easy to access. Jason Gibson of ScienceandMath.com is the instructor for all 23 experiments. Certainly qualified, he holds a Bachelors in Electrical Engineering and a Masters in both Electrical Engineering and Physics. He also has served as a Space Shuttle flight controller at NASA. You can either watch the DVD's and learn from simply watching how the experiments are done or your child can try it out for themselves, which is encouraged. If experimenting for yourself, you will definitely want a notepad handy while watching each experiment so you can write down the supply list. Some experiments require simple household items already on hand. 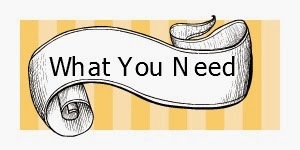 Other materials can be inexpensively purchased at the store or online. Fortunately, I only needed to purchase two items total! We had everything on hand except a can of soda, and dry ice. Apparently you can buy dry ice at the grocery store! Good to know. Although, I have a feeling I am not in the majority here. I am married to a science guy so yes, we do have neodymium magnets, copper pipes and plastic tubing in our house just waiting to be experimented on. But even you don't have these items, they are fairly inexpensive. And, again, most experiments call for the simple household supplies such as a lemon or dish soap. Each experiment begins by Mr. Gibson introducing himself and then introducing the experiment. It's great because he has a way of making each and every experiment seem like it is going to be the coolest thing your child has ever seen. He certainly gets my kids attention by making them feel like they are about to embark on an exciting adventure each and every time they turn on the DVD. No matter how simple or complex the experiment is, he seems to make each one seem fun and enticing! He then provides you with the supply list for that experiment, which usually calls for common household items. Then, he goes on and performs the experiment in a simple, step by step manner that is easy for kids of this age to understand and remember, especially if they perform the same experiment shortly after watching the video. After performing the experiment he may show a variation or something else you can do with your experiment or he may go directly into explaining the science behind what just happened. The explanation is the bulk of each video segment. After actually performing the experiment he will discuss, in simple terms, the basic science behind what he just did. One experiment a day was not enough in our house. My kids, like their dad, are science people. It's never been my strength but I enjoy using resources like this DVD to help keep my children engaged! We did two experiments a day and set aside 45 minutes to an hour a day for science when using this DVD. If the kids were extremely engaged we actually would spend more time than that on some days! We would first sit and watch the video and then afterwards try it out on our own. My children were definitely engaged during the experiment portion of the video. During the actual instruction my kindergartner and three year old struggled but I made them sit with my second grader and try to focus. I finally would have them lay out a blanket on the floor in front of the TV and have them sit and not get off until the lesson was over. It wasn't too long of a video segment but after a few minutes the younger ones would get antsy. I had to remind them that they too needed to learn the why's behind each experiment. Making a cloud in a bottle was one of their favorite experiments. They were amazed to see it on the DVD, but then to see it work right before their very own eyes was even more exciting! Even simple experiments such as reversing an image in water can have quite an effect on these little minds. 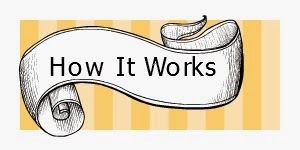 They didn't think something so simple could work and when it did, again, they were amazed! I don't know what it is about kids and magnetism but it seems to capture their attention every time. The above experiment used a copper tube and a neodymium magnet. This was one of those experiments that my kids could not get enough of! And of course, the lemon battery. My three year old's mind was blown by this. She was certain this wouldn't work and when it did it really made an impression on her! Last time I took her shopping with me we passed lemons in the fruit aisle and she begged me to buy them. I didn't understand why she was asking for lemons over her beloved bananas until I asked her and she said she wanted to make a lemon battery! What I loved about these DVD's is I could use them with all three of my children between the ages of 3 and 7 at the same time. There were some more advanced parts of the experiment the older ones could help with but also plenty to do for the three year old also. If I had to make one suggestion I would think that some people would probably benefit from some sort of supply list, either included in the DVD or on their website. But for me, I was fine simply watching the video and gathering the materials afterward. 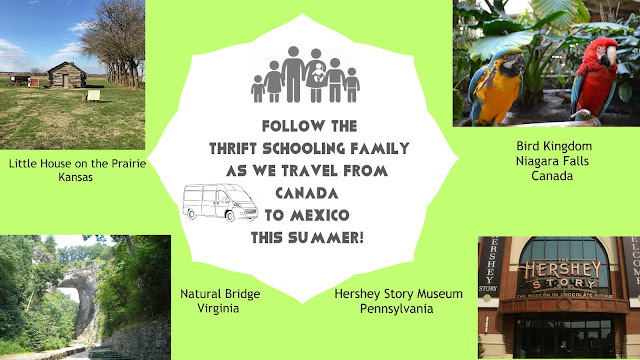 I could see this working well for a family looking for something science related to use with their kids over the summer. It is fun and hands-on and my kids thoroughly enjoyed it!